As one of the most interesting attractions in Branson, Wild Valley Adventure Park is a great tourist destination which offers visitors tons of exciting activities and unforgettable wild experiences. Inside the park, you will see different kinds of animals living in their new outdoor habitats. These animals include wolves, large carnivorous cats, kangaroos and much more. When you visit the Wild Valley Adventure Park with your kids, both of you will have an unforgettable experience feeding the goats and many other animals in this best petting zoo in Branson. Unforgettable memories await you at the Wild Valley Adventure Park where you get to see peacocks and other birds roam free on the grounds. As you watch the cats roam in their habitats, you can enjoy snack including coffee, soft drinks and other treats on the patio. To provide the best homes for all the animals in the park, a new building was built in Branson West to house them in a secured facility. The park is now offering visitors free entrance into the new facility with your paid admission receipt. All animals and a petting zoo will be available for all to see. Wild Valley Adventure Park is also home to Thrill Zone family entertainment, Xcape Branson Escape Rooms, and the Ozarks best haunted attraction. With these great attractions, you are sure to enjoy a full day of fun. At the Thrill Zone family Entertainment Center, you will experience a family fun filled with hours of exciting entertainment. The main attractions in this entertainment center include XD motion 3-D ride theater, Formula 1 simulator, and Spin Zone bumper cars. 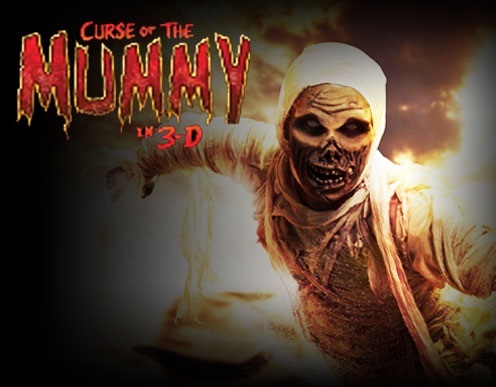 The Crazy Funhouse features a haunted house with its “Curse of the Mummy” in 3D. The center also features Cougar Café perfect for a break from all the action. Xcape Branson is an exciting attraction inside the park where visitors play some of the most creative and detailed games available in the Ozarks. If you want to survive the game, you must escape. This game attraction includes special effects, lasers, animations, electronic videos, iPad clues, touch screens, and the most realistic environment for your escape pleasure. This attraction features 2 unique and exciting games such as Escape A Zombie Apocalypse and Escape a Nuclear Meltdown. With Escape A Zombie Apocalypse, you need to escape from your cell and find hidden doors, and discover how this tragic mistake occurred in 60 minutes or less. This game includes 4 rooms and features like animatronic zombies, video effects, trick locks, hidden chambers, and a laboratory with the clues to it all. Escape a Nuclear Meltdown is a tour at a nuclear facility, but will be trapped in some sort of disaster. You will realize soon no one is coming to help you. 60 minutes is all you have to find the clues to escape this atomic event. Wild Valley Adventure Park is one of the most unique attractions in Branson that offers tons of exciting adventures and unforgettable wild experiences.